Why Drinking Too Much Water Is Dangerous | Nanay Miriam's "re-MISSION"
It’s so easy for us to understand why marathoners who drank too much water and lost sodium and electrolytes too much too soon may die because of drinking too much water.. This story is not of a marathoner.. this is about a woman who drank 2 gallons of water in one sitting as part of a competition. She didnt do any extrenous exercise which will cause her to lose sodium/electrolyets via sweating.. she just drank too much water at one go..
On January 12, 2007, a 28-year old Californian wife and mother of three children died from drinking too much water. Her body was found in her home shortly after she took part in a water-drinking contest that was sponsored by a local radio show. Entitled “Hold Your Wee For A Wii,” the contest promoters promised a free Wii video game machine to the contestant who drank the most water without urinating. 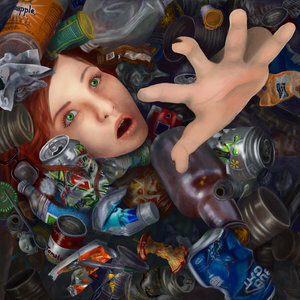 The other fatal drinking habit.. is drowning in junk drinks! soda, fake fruit juice! The answer to this question depends on your unique circumstances, including your diet, exercise habits, and environment. Ultimately, the best guidance I can provide on this issue is to follow your sense of thirst. Some people believe that thirst is not a reliable indicator of how much water you need, since many people suffer with symptoms related to dehydration and don’t seem to feel a need to drink water on a regular basis. 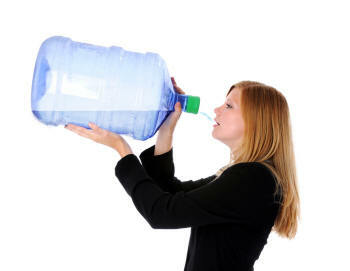 My experience has been that most people who are chronically dehydrated have learned to ignore a parched mouth. If you ask such people if they are thirsty and would like a piece of fruit or a glass of water, they will almost always realize that they are indeed thirsty. This is why I always say Max Gerson was ahead of his time. He forbid Gerson patients to drink water while on the therapy as they are already drinking 13 glasses of pure fruit and vegetable juice each day. He also knew that all cancer patients lack HCL in the stomach (a stomach acid required for digestion), that he is very careful in controling water intake so as not to dilute the little stomach acids that cancer patients have. Based on this article from Dr. Ben Kim, what applies to gerson patients also apply to normal people like us. If you drink 13 glasses of pure fruit/vegetable juice during the day, you need not drink water at all. As the water in the fruit/vegetable will be more than sufficient to hydrate you and nourish you. The main idea that I wish to share through this article is to beware of mindlessly drinking several glasses of water per day without considering your diet, exercise habits, climate, and sense of thirst. And when you do find yourself in need of water, remember that you can get it from liquids and/or whole foods. Water from fresh, whole, organic fruits and vegetables (coconut water is top of the list) is superior to tap water, distilled water, purified water, bottled water, vitamin water! Coconut water is the purest form of water, as it has been naturally distilled by the tree for 10 months. It has the right balance of sodium and potassium, calcium/phosporous and many other trace minerals. This is the reason why if you ever get trapped in an isolated island.. you can survive with just coconut water.. so if ever you get lost… wrap your arms around a coconut tree.. it will nourish you for a long long time! Incidentally, Bethany Hamilton the star of the true to life movie Soul Surfer is an ambassador of all the goodness of coconut water. MedlinePlus: Vitamins and Minerals ( /medlineplus/vitaminsand ).